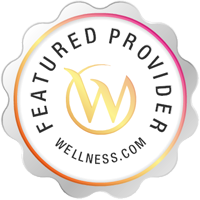 Our practitioners are trained in the latest techniques in Medical Imaging, Ultrasound, Conservative and Surgical care, and Wound Management. Our physicians spend most of their time listening to understand your concerns and responding with the best treatment options for you. With the help of our professional staff, our physicians also follow up to make sure that pain is relieved, problems are resolved and your health improves. We provide evening and weekend hours for added convenience in todays busy world. When you choose Independence, you will receive a treatment plan tailored around your individual needs. Please call for an appointment or stop by one of our offices, and choose Independence. If you dont see your concern on this list please feel free to call our office to find out how we can help you. In todays world of modern medicine the house call has become a lost art. Here at Independence Foot and Ankle we understand the needs of our patients and make house call care for those who qualify. Services Independence Foot & Ankle provides podiatry in Lansdale, PA at 233 South Broad St, Lansdale, PA 19446. Podiatrists are able to treat conditions and disorders of the foot, ankle and lower leg. A Podiatrist may treat bunions, calluses, ingrown toenails, heel spurs or foot deformities. 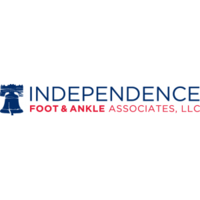 To determine if Independence Foot & Ankle can help you, please call the Lansdale, PA office at (215) 323-5936 for more information. Knows about latest treatments for my particular ailment. Friendly staff and convenient location. Will update my entry after the surgery.